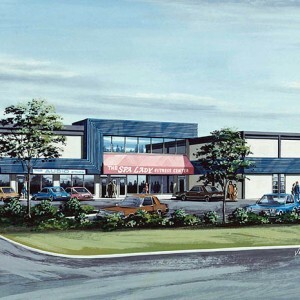 Although today located on a busy intersection of Downtown South residential neighbourhood, when originally planned Pacific Towers was a pioneering bold step. PCI acquired what was a vacant lot in a rundown neighbourhood with marginal surrounding commercial businesses and hotels of questionable operations fronting Granville Street. 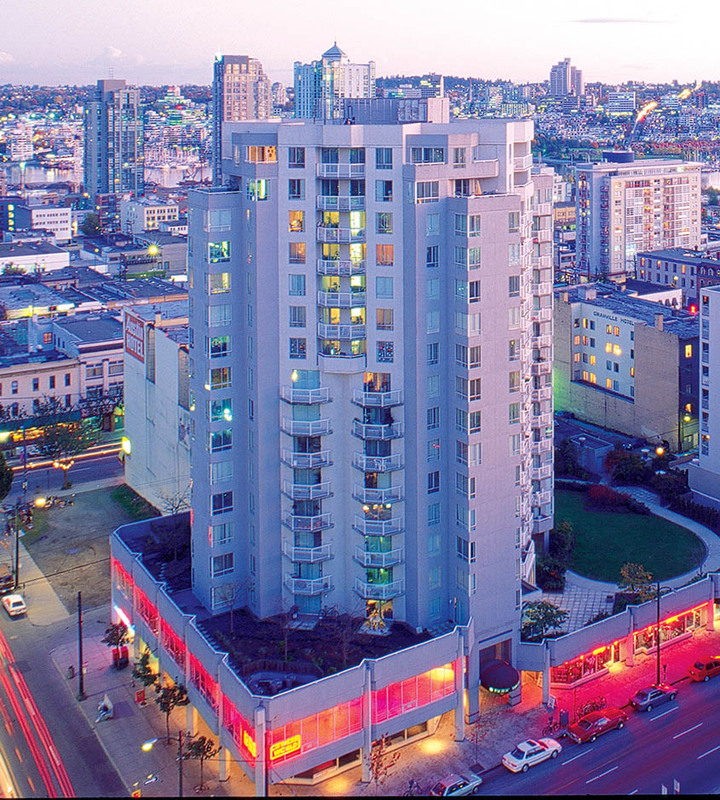 We believed that with the proximity to the downtown core, we can provide brand new low cost rental housing to complement the rental stock in the West End. We were not supported by City Planning official but we were able to convince City Council to permit its development under the ambiguous bylaws. 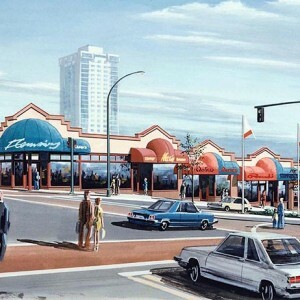 The Council supported the prospect of revitalizing the neighbourhood. With the successful completion of the ground breaking pre-renting program (the forerunner of condo presale program), we proved that the public would be acceptable of this “Downtown at your doorstep from $395” development. Pacific Towers, a 130,000 sq. 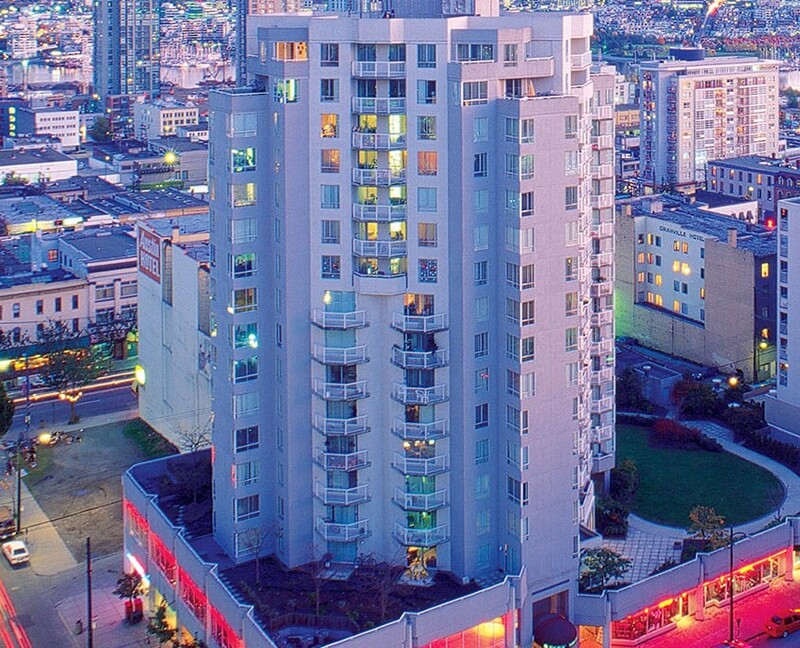 ft. mixed-use, 17-storey high-rise in downtown Vancouver, contains 22,000 sq. ft. of commercial space, recreational facilities and 150 rental apartment units.